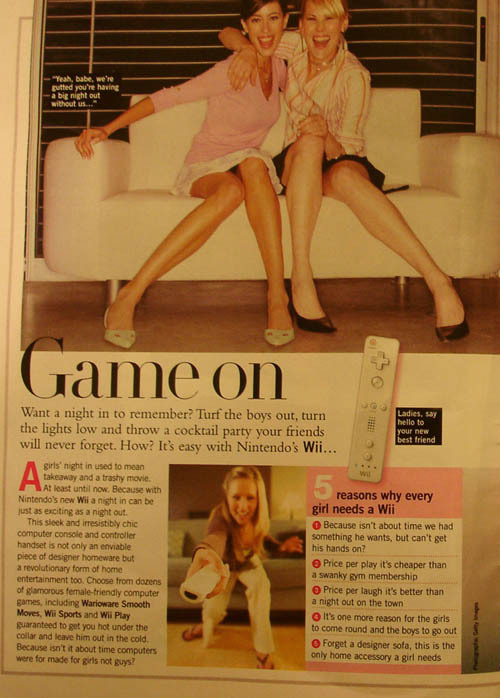 "Okay: the game isn’t about mowing down men. It’s about male privilege and what male privilege feels like." 05/26/2010 update: So a newer, better, EVEN LONGER, revised version of this hokum will allegedly be published in issue #1, the ‘No Fun Issue’, of Kill Screen Magazine. I’m very proud. Please avoid this version and read the longer, better one! Thanks! I’m disappointed I haven’t been able to actively participate in any Bayonetta discussion—I kind of haven’t played the game, so I have no fully formed opinions, here. But that won’t stop me from posting a long stream-of-consciousness with squirrelly punctuation in the middle of the night. No sirree! The ongoing Bayonetta dialogue reminds me of a short conversation I had on a patio deck at a casual (birthday?) party maybe a year or two ago. I don’t remember which editor of what website I was talking to (and that’s just total laziness on my part, because I could just google around until I find his piece and byline), but he wanted to talk to me about his pick for Video Game Character of That Year. And, for this editor, his choice had come down to two characters, each of whom he admired. There was Faith Connors (Mirror’s Edge) and—he excitedly told me this—“You!” (Fallout 3). And he could not wait to pen this article, because Fallout 3’s “You!” had thrilled him, you know, not only as a critic, but as a gamer. I could totally get where he was coming from. 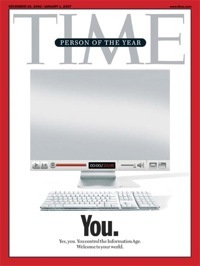 In 2006, for instance, Time absolutely got it right when the magazine named “You!” the Person of the Year. I think the magazine did something really smugly stupid, too, like a shiny, mirrored cover that reflected your own face, which invited a lot of eye-rolling. Tiff Chow: "Personally, I don’t buy it. Bayonetta is pure camp to me, which well explains the extremities of everything from her disproportionate body to her saucy one-liner dialogue. Because of this campiness, I can’t even begin to think she is a character of ‘substance’ to any degree." I do miss being in the office for Tokyo Game Show, because that’s usually when, bored out of our skulls, we’d bring out the little handheld cameras to make fairly insane videos. I happened to get it in my head to do this when everyone had jacked all the cameras and microphones to take to TGS, leaving me to work with a cameraphone and a Rock Band mic. Which kind of made the entire exercise a bit like jerking off with chopsticks. The end conclusion of this little ditty is maybe a little reductive, but one of the points S.S. makes—that objectification of any video game character, male or female, is essentially for the benefit of its male player—seems pretty incisive. Editor’s note: I realize “reductive” and “incisive” are antonymous! I believe in having it both ways! 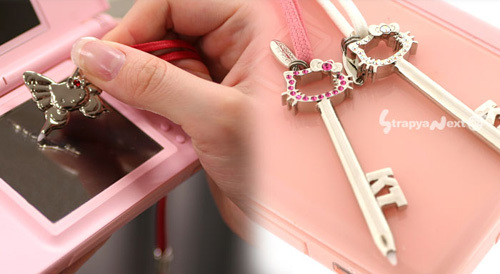 Turns out this feat of imagineering is old as sin (well, about a year old), but I think these Hello Kitty DS styluses and/or styli warrant a closer look. 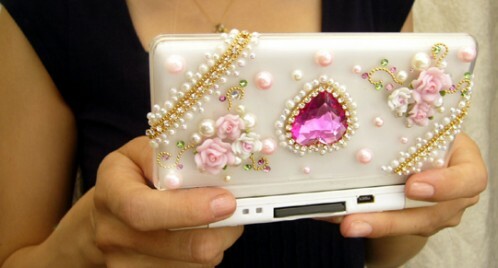 It’s tacky. It’s cumbersome. It is irresistible. I’ve dutifully stolen—er, transcribed—the full text of the ‘article’, so hit the jump if you, uh, want to know more about your man’s personality. Interested, I downloaded the Dangerous High School Girls in Trouble! demo. Each morning for maybe a week, I sat down with a cup of coffee and played Dangerous Girls until my eyes began to burn. I complained that it was innovative, interesting, but not always fun to play; I also purchased the full game. Now that my readership has appropriately flatlined, I am permitted to publish the second in a three-part series of journal entries about my quest to create the perfect avatar. In part I, we talked about caricature, and I obnoxiously examined what makes my own face distinctive. Now, we examine what, exactly, makes cartooning effective. Here’s a hint: HAIR. ...I’m going to examine cartooning as a form of amplification through simplification. When we abstract an image through cartooning, we’re not so much eliminating details as we are focusing on specific details. By stripping down an image to its essential “meaning,” an artist can amplify that meaning in a way that realistic art can’t. 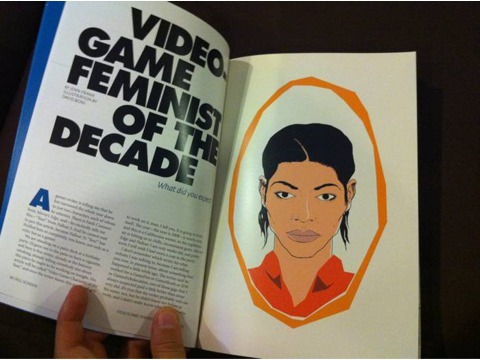 How do cartooning, caricature, and avatars relate to videogames in a broader sense? The key, I think, is iconography. Take a look at Character Design for Mobile Devices, wherein realistic character design and artistry are pared down to their simplest and most fundamental pixels. It’s no secret that racism, sexism, homophobia, and colorful swears are all hallmarks of online multiplayer gaming. It’s the sort of thing, in fact, that gamers laugh about, albeit uneasily. But the first time you hear a truly earnest slur, the blood runs cold: something about the experience feels distinctly like being trapped in a small-town Chainsaw Massacre kind of nightmare. As I was channel-surfing tonight, I flipped past Current TV—that’s Al Gore’s young adult -oriented “citizen journalism” cable channel—and I was pleasantly startled to catch the end of “Gaymers.” It is a short video that, in the span of four minutes, concisely explains the homophobia and hostility that often occurs, whether on Internet forums or inside of in-game chat, within the very insular gaming culture. Of course the video is intended for a mainstream audience, but it approaches the issue in an intelligent way. It is, in short, the video to send to your non-gaming friends. 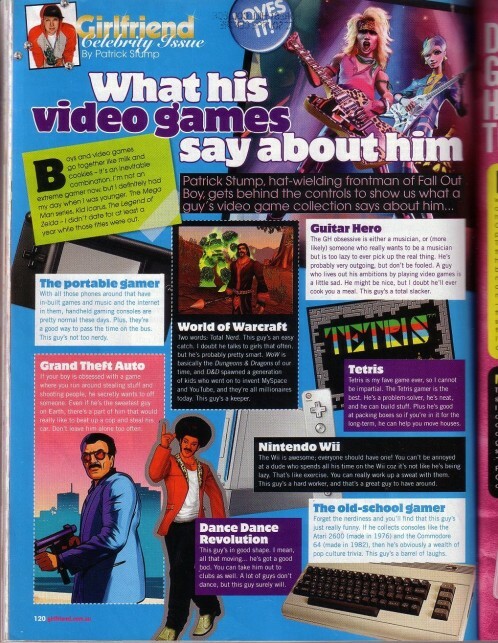 The video is also a very abbreviated profile of games journalist Flynn De Marco, and his site, the excellent GayGamer.net. The problem with anonymity on the web is that everyone’s anonymous. It’s not just the people engaging in the prejudicial action that are anonymous: they’re anonymous, the victim is anonymous, the bystanders are anonymous. And it’s like this perfect storm of social… disinhibition, if you will. Although “Gaymers” focuses on the problem of hate speech in both online co-op and within the internet-centric gamer culture, the video concludes itself optimistically. After all, as Monin points out, the technologies that facilitate anonymous hate speech and actions are the very same technologies with which we create safe virtual spaces for other communities. “Gaymers” was recently added to Current TV’s continuing rotation of viewer-created programming, so congratulations to everyone who participated in the video’s making. You can chance across it in syndication on satellite or cable, or you can watch it online here. edit: I didn’t have enough work to do that week. Game in really cute shoes!